Caffe Vergnano gets a design upgrade. 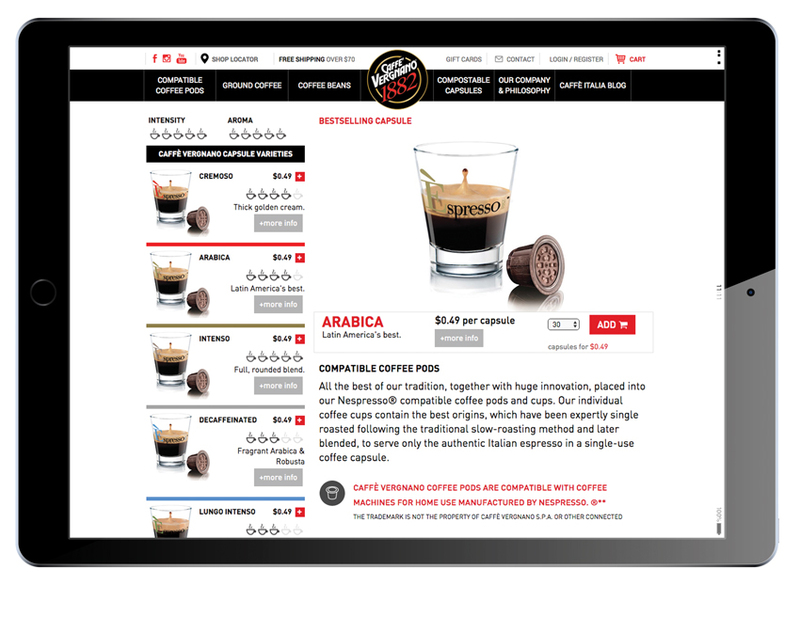 Coffee capsules are big business – America’s #2 best selling online product, and we’ve recently revamped our interface to more closely align with the Keurig and Nespresso competition. Our new user-friendly 1-page category pages consolidate buying options to speed up the buying process.